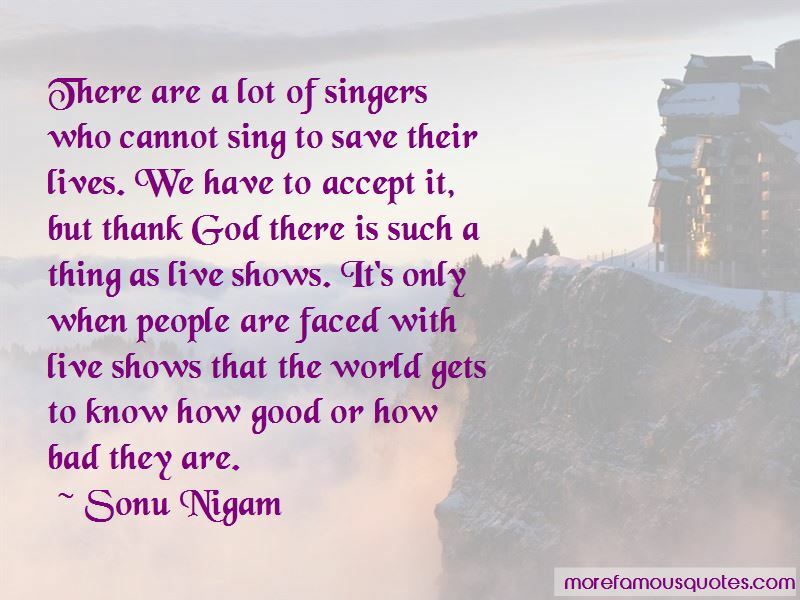 Enjoy the top 35 famous quotes, sayings and quotations by Sonu Nigam. I am concentrating on my fitness levels so that I don't look old. All true artists in the world from all countries and all genres are influenced by Michael Jackson. There were music videos before Michael Jackson, and there were music videos after Michael Jackson. He brought such a huge change in the marketing and positioning of the music video. Since music is a reflection of our mindset and our culture, it is bound to change with time. I am glad that India is such a receiving country and is always open to all kinds of music. Our composers, singers and writers are open to experimenting. I'd say music runs in my blood. My parents are exceptionally talented singers, so even before I was born, it was a known fact to them that I'd become a singer. Thanks to my genes, I started off at the age of three and since then, music has meant everything to me. Whether I am performing for an elite crowd or a crowd of 20,000 people - the moment someone asks for 'Agneepath,' and I respond 'Agneepath' chahiye?' the noise in the crowd, shows that this song has become huge. I was a topper till class tenth and wanted to initially be a scientist. My son is an integral part of my life; the fact of life is that parents and children need you; wife doesn't really need you. 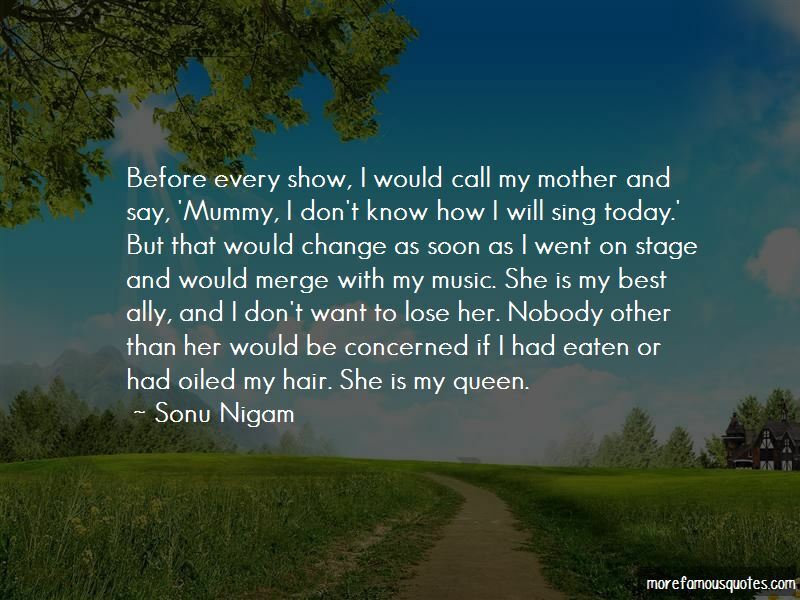 Want to see more pictures of Sonu Nigam quotes? 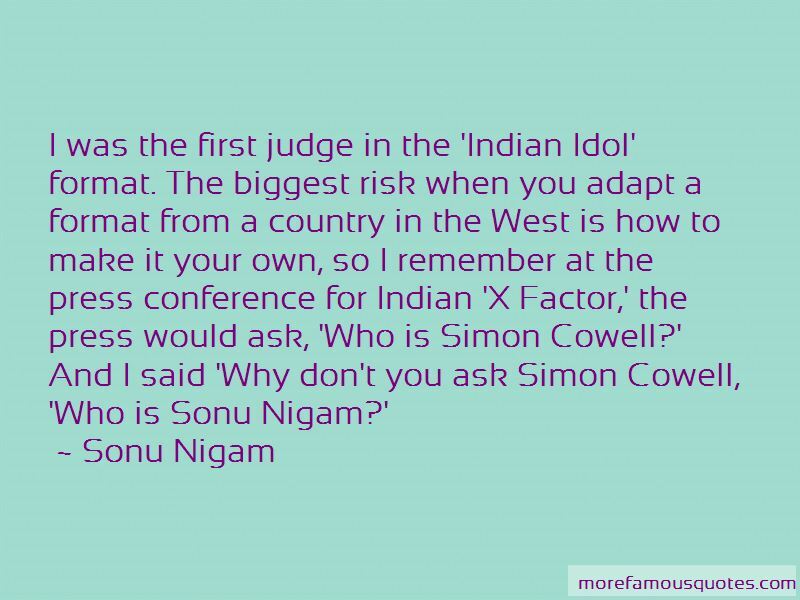 Click on image of Sonu Nigam quotes to view full size.